The growing popularity of the Internet has enabled all law firms to create and develop their brand and expand the availability of their services on a regional or nationwide level. Being effective on the law firm market is one of the biggest challenges for small and medium law firms in the USA. The majority of clients of law firms are using the Internet to learn some basic information about legal services they need. Wouldn’t it be great if potential clients looking for legal services get your firm among search results? Responsive Attorney Website and development of good Attorney Internet Marketing Strategy. If your law firm already has developed a quality website with good user experience, then forming a solid online marketing strategy will be the next step. Depending on the level of your knowledge (or employee’s knowledge), you can do it yourself or hire professionals to do it for your law company. 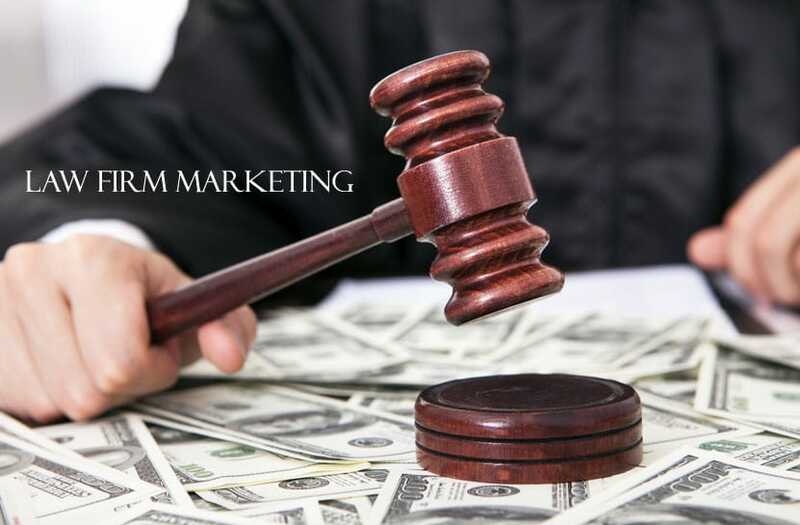 The following are some effective tips for law firms that are looking for effective marketing strategies. These tips will help attorneys to increase the firm visibility for your desired audience. Build a responsive law firm website: As of April 21, 2015, Google demoted websites that are not responsive. Responsive means mobile-friendly and the website will show properly on tablets and mobile devices such as cellphones and tablets. Search Engine Optimization (SEO) is necessary to be present in the search results and get website visitors. If your website is not optimized, your website will not be able to rank in Google for certain keywords. Your law firm website needs both on-site and off-site optimization. There will be no results if only one is done, without the other. On-site optimization means fixing Meta tags, internal links, blogs, and the articles posted on the website. Off-site optimization means link building, writing articles to post on relevant blogs, and press release. Start SEO ASAP. The longer you wait, other law firms (competitions) will achieve more in Search Engine Optimization and they will be in front of you in search results. Without the traffic, your website is dead and Search Engine Optimization requires time. Check Website Competition. Look through their websites that rank on the first page for your keywords on Google, Yahoo, and Bing. Evaluate their content, links, Meta tags and check their website’s look and feel (usability). Set up your own marketing goals. You do not need to copy your competition model. Maybe certain SEO strategies give good results for one website, but this doesn’t mean that it will be equally successful on other websites. SEO doesn’t bring instant results. Results of your work will be visible in one or more months. Meanwhile, work on online as well as other forms of marketing. Setup a Pay per Click (PPC) Advertising budget: Let’s face it, without the paid advertising you will not get quality clients. SEO alone will position your law firm website on search engines; however, Pay per Click allows your website to get an immediate position that you are looking for. Never consider that your site is completed. It is desirable to improve your law firm website all the time. Write a law firm blog, publish relevant news, add new information about legal practices, court practices, and your new experiences. Potential clients will learn about your professional qualities even before the first contact. Adjust and use Google Analytics. Google Analytics is a very powerful tool. It will give valuable information about visits to your website, sources of the visits, as well as other useful parameters such as the number of unique visitors and the time of the visits. Create content for your potential clients and not for search engines. It is important to create content that will be relevant for your potential clients. As already mentioned, people want to know how you can help them solve their legal problems. There is no point to creating content that will rank you high if it is not useful for actual clients. Setup Social Media Channels: Social media is very popular and gains more traffic and time spending for many Internet users. Adjust Google+ for your law firm and connect it with your site. This not only confirms your authorship but can be useful for ranking on search results. Your law firm should have a solid page on Facebook, Twitter, Instagram, or other relevant social media.